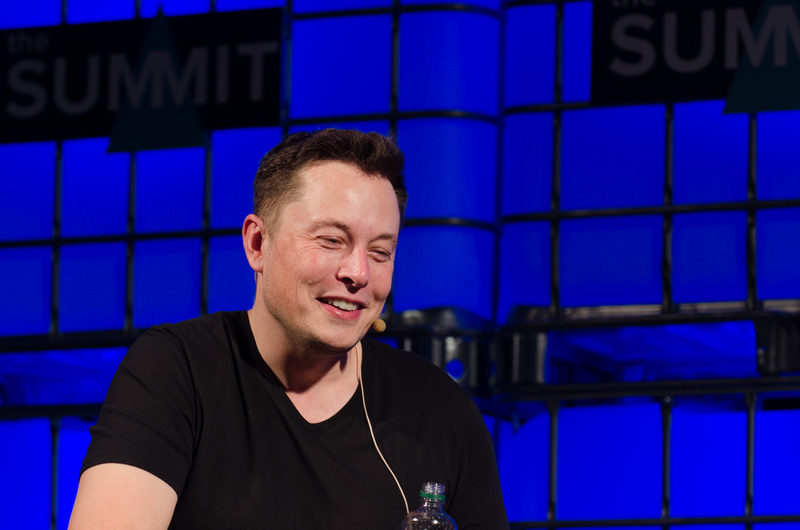 Elon Musk, who is unarguably the world’s foremost entrepreneur, has finally made his section mention of Ethereum (ETH). While this would normally be seen as a potential turning point for this nascent industry, Musk’s mention of the popular cryptocurrency was through the lens of it possibly being a scam… uh oh! On Tuesday, Techmeme, a San Francisco-based technology-centric news aggregator, posted a tweet that highlighted Twitter’s removal of 486 accounts that were reportedly participating in malicious schemes. As reported by Ethereum World News in early July of 2018, the Tesla and SpaceX CEO (amongst other accomplishments) is no stranger to Twitter scambots, as he acknowledged the bots that plagued his profile for months, by asking “who is running the Ethereium scambots” at an earlier date. While this is clearly a joke, it’s comforting knowing that Elon Musk, a role model to millions of individuals around the world, has taken some interest, albeit small, in this nascent industry that has the potential to reach a global audience. Could Twitter Be To Blame For The Crypto Scambot Debacle? Next Web’s crypto-centric column, the San Francisco-based social media firm might just be exacerbating the problem. Security researcher Troy Mursch recently revealed that accounts impersonating the Tesla executive were actually ‘recommended’ for Mursch to follow. 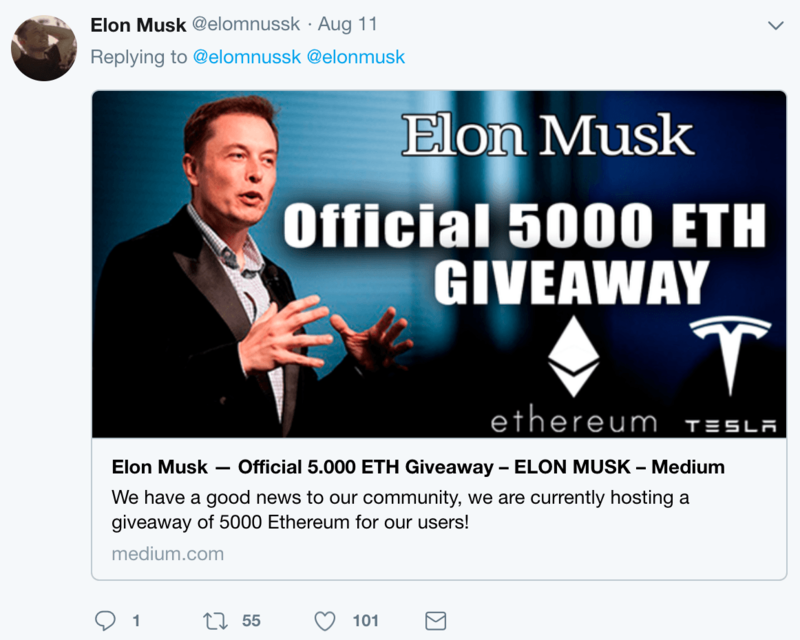 Not only were these accounts impersonating Musk, but unsurprisingly, they were also advertising malicious links for an “official 5,000 ETH giveaway” from Elon Musk himself. Evidently, Twitter’s attempt to amend this problem has been widely unsuccessful, with Mursch later taking to Twitter to post even more images of the same issue. This issue has become so widespread that Ethereum co-founder Vitalik Buterin even tagged Jack Dorsey, Twitter’s CEO, asking him to fix the issue, while also asking developers to establish a second-layer solution to filter out these bots. So far, nothing seems to have resulted from Buterin’s cries for help, as these bots remain a rampant force to be dealt with.